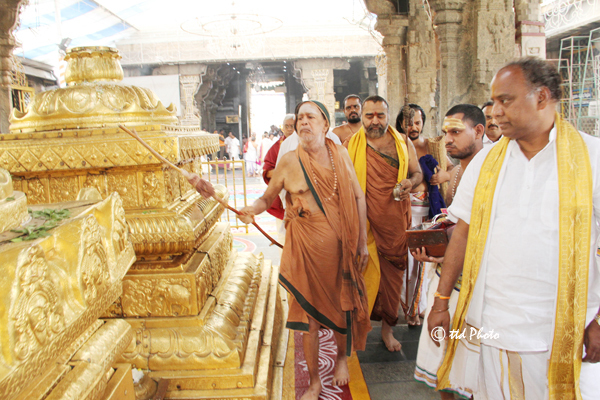 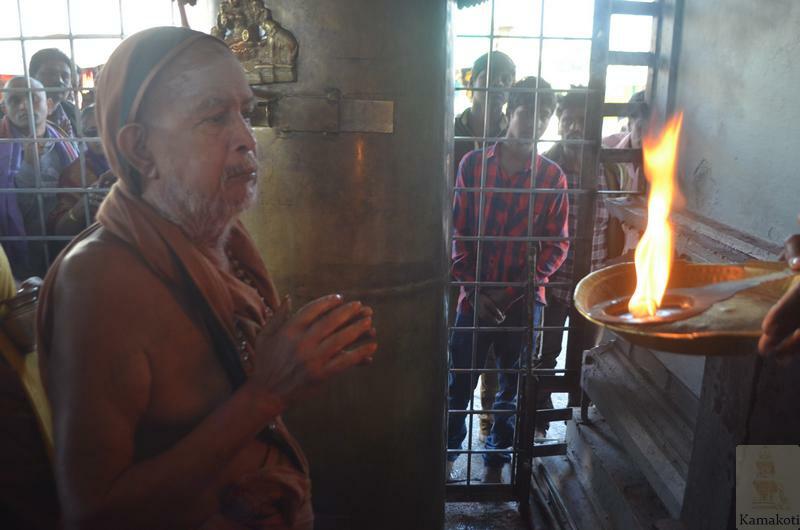 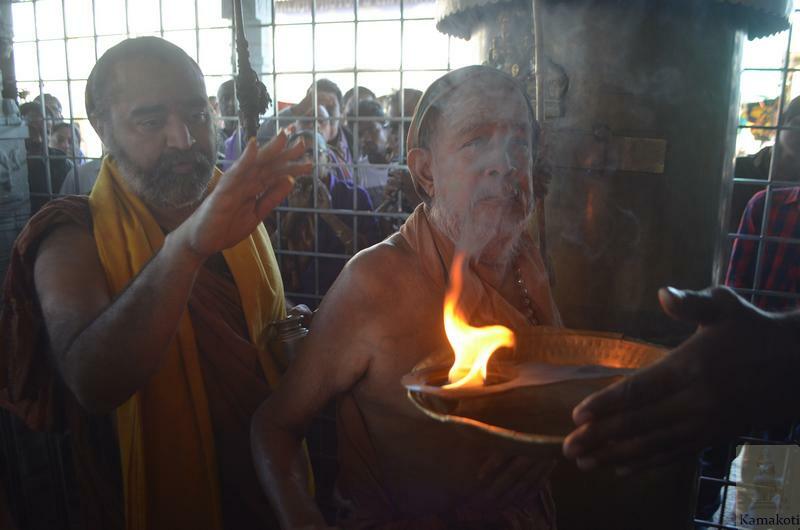 HH Pujyashri Jayendra Saraswathi Shankaracharya Swamigal and HH Pujyashri Shankara Vijayendra Saraswathi Shankaracharya Swamigal visited Tirumala Sri Venkateswaraswamy temple. 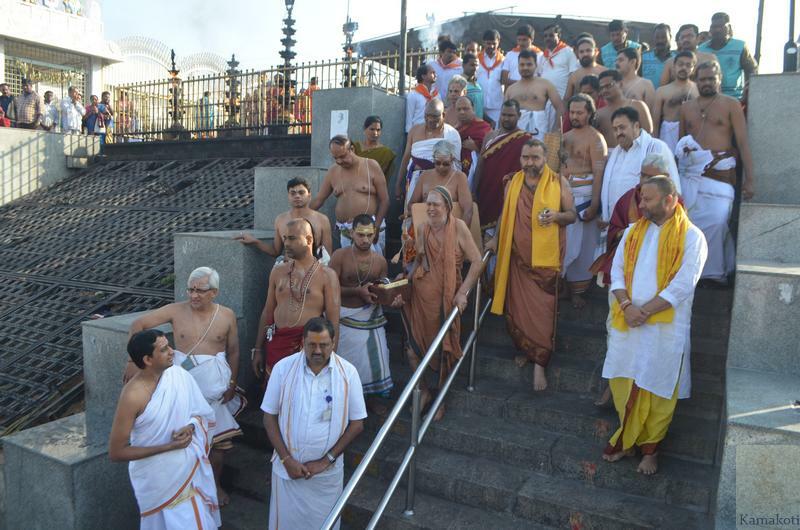 Pujyashri Acharyas were accorded traditional reception by the temple priests and authorities. 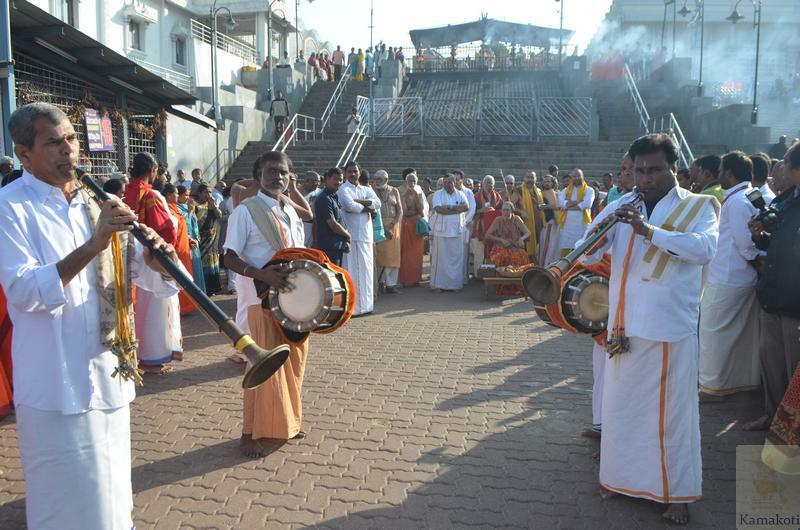 The procession upto the temple was led by elephants, accompanied to the rendering of mangalavadyam. 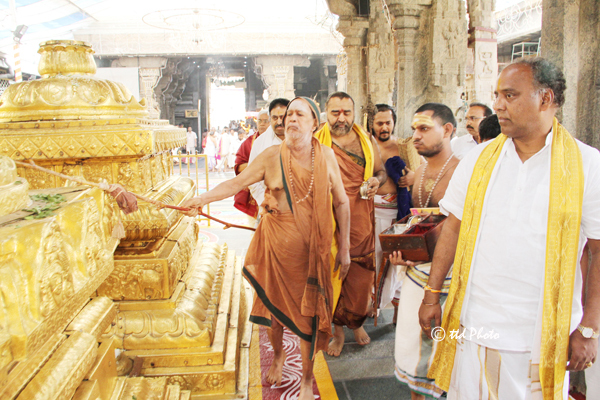 After offering prayers at the Anjaneya Sannadhi near the temple entrance, Pujyashri Acharyas offered worship at the main shrine. 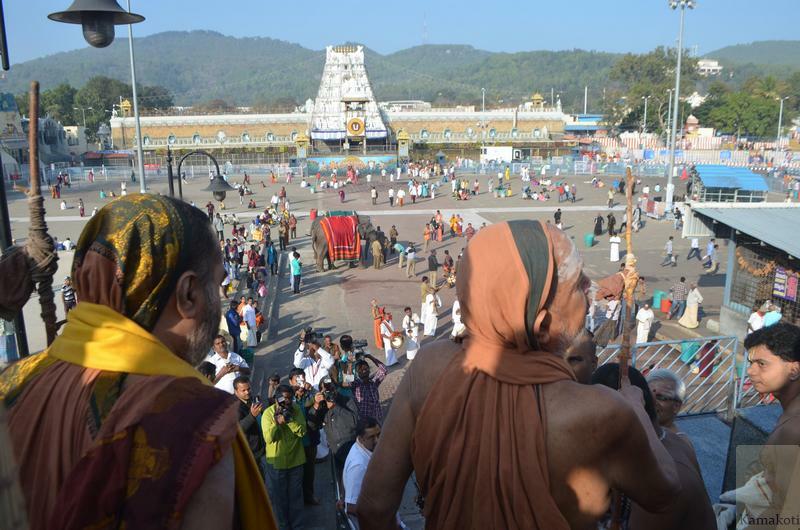 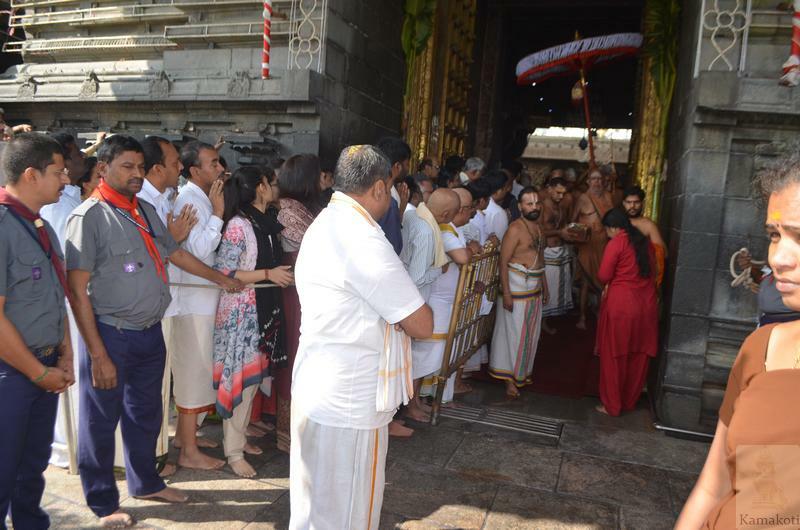 His Holiness performed Chamara seva to Sri Venkateswaraswamy. 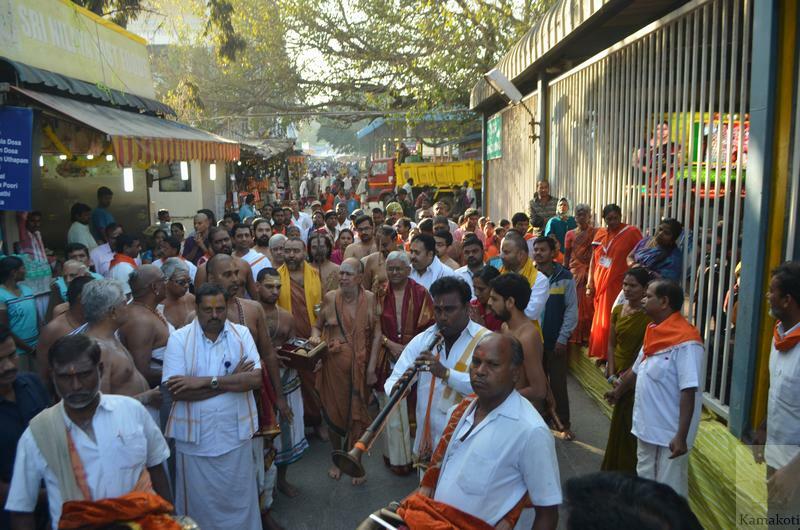 Temple honours were accorded to Their Holiness. 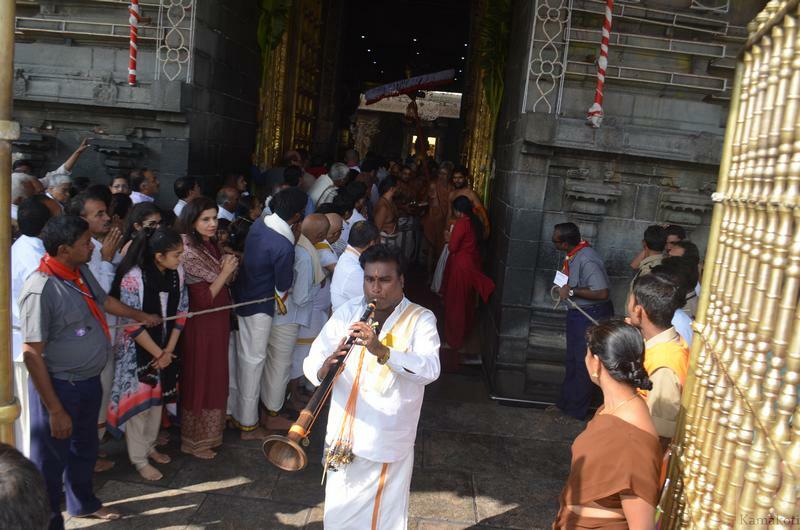 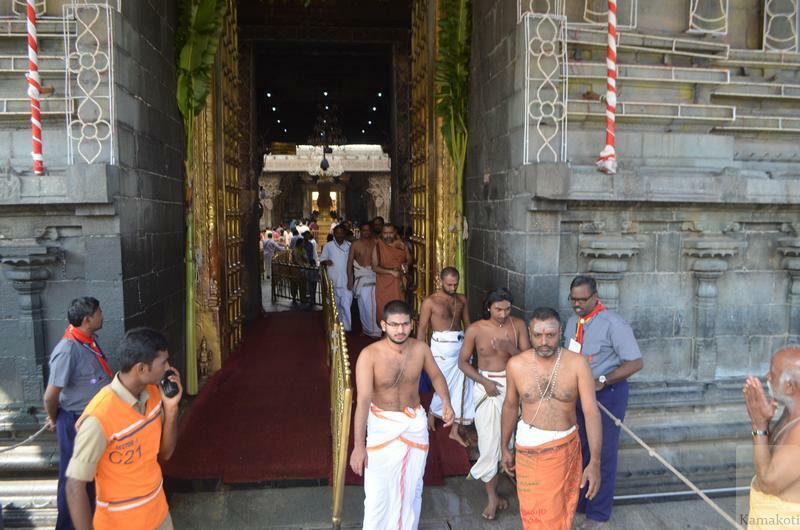 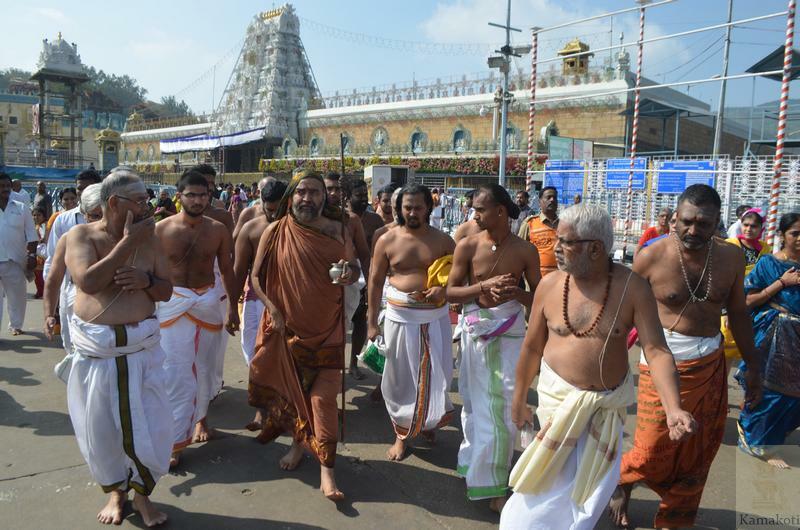 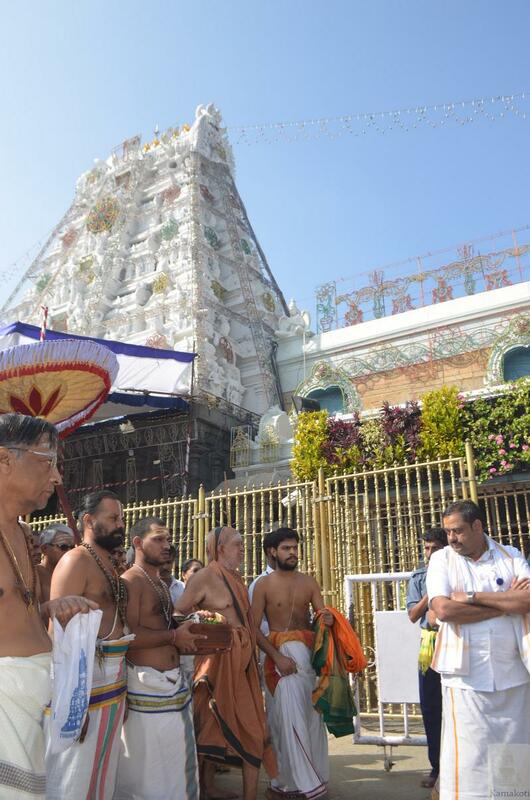 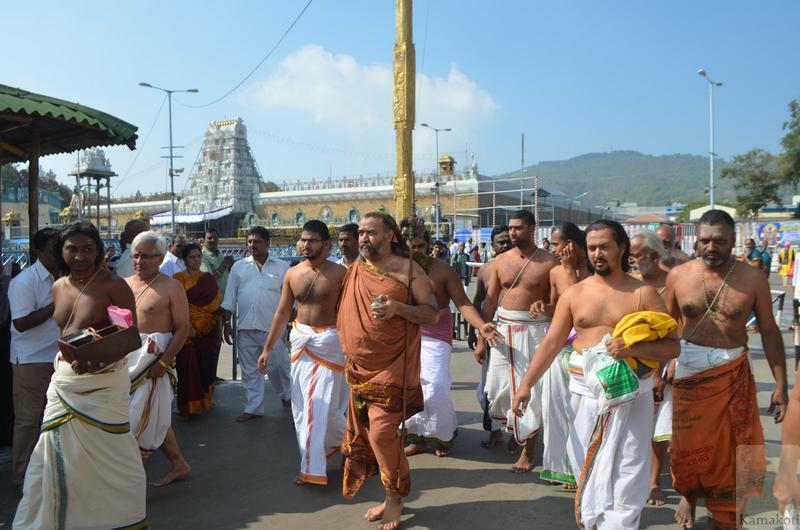 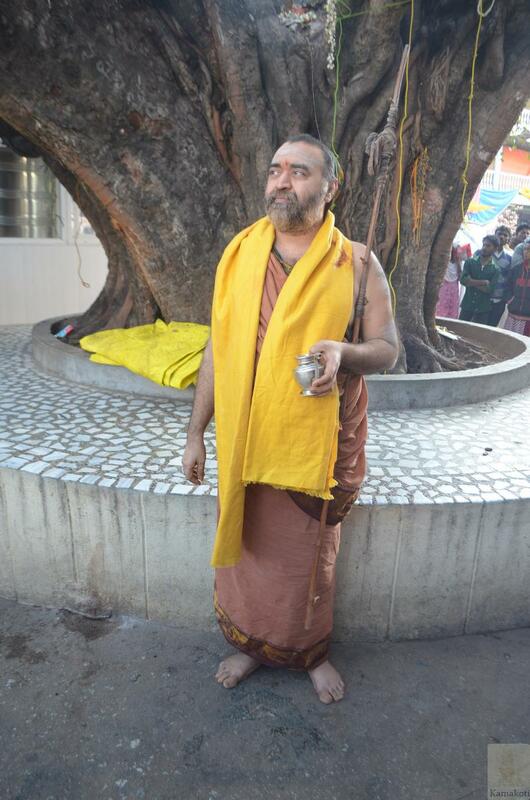 Srimatam devotees accompanied His Holiness and had darshan of Sri Venkateswaraswamy.